Over the Christmas holiday, Chris and I attended a dinner party over at our friend EW’s house. We decided to bring a bottle of wine and this bread. I know EW is a HUGE bread lover so I thought I’d bake him a loaf. 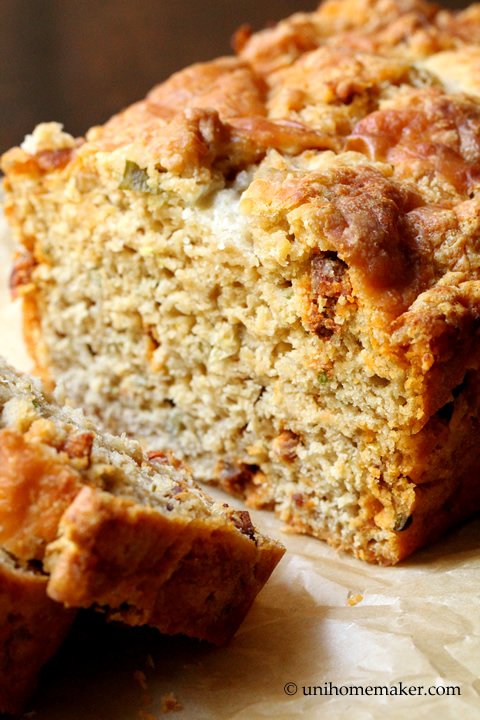 In the past, I have baked him savory breads but he seemed to love beer bread more than others. I’m guessing it’s the dense texture and the crusty top. In a small pan over medium heat add chorizo and olive oil. Cook until fat renders from the chorizo, about 5-7 minutes. Using a slotted spoon, transfer chorizo to a plate to cool; set aside. Reserve fat, do not discard. Using a stand or electric mixer (or mix by hand) combine scallions, 4 ounces of Manchego cheese, flour, baking powder, salt and chorizo. Mix well and then slowly stir in beer. Mix until batter is just moistened, batter should be sticky. Do not overmix. Pour batter into the prepared pan and spread it evenly with a spatula. Scatter the remaining 1 ounce of Manchego cheese on top of the batter, then drizzle in the reserve chorizo fat on top of the cheese (mine rendered about 1 tablespoon). Pour the melted butter on top as well and make sure it’s distributed evenly. Bake for 50-55 minutes or until toothpick/tester inserted into the center comes out clean. Allow the bread to cool for 20-25 minutes or until it’s safe to handle for slicing. Best served warm. I bet you will get a return invitation to another dinner party soon. I’m sure everyone loved your bread. Two of my favourite foods in a bread? Perfect! Anne, this looks fantastic! 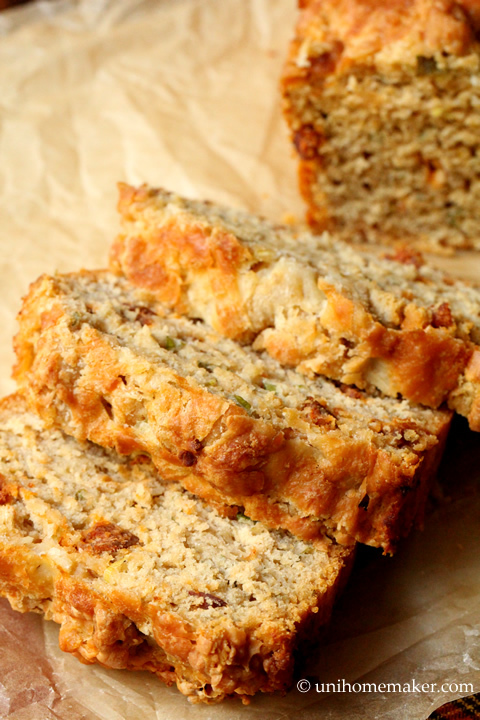 I love beer bread, and this combination of flavors looks fabulous! I definitely need to try this. Pinned! This looks delicious. Who says baking bread can’t be manly. Wow this looks delicious, love the texture! This is a wonderful combination, Anne. There’s just something about beer bread. It turns out perfect and satisfying every time and as you proved here, it can stand up to various flavorings. I hope you are well and enjoy the weekend! Oh my, this looks incredible! Awesome flavor combination, pinned! I couldn’t resist and showed the pics to my son- he got totally carried away. 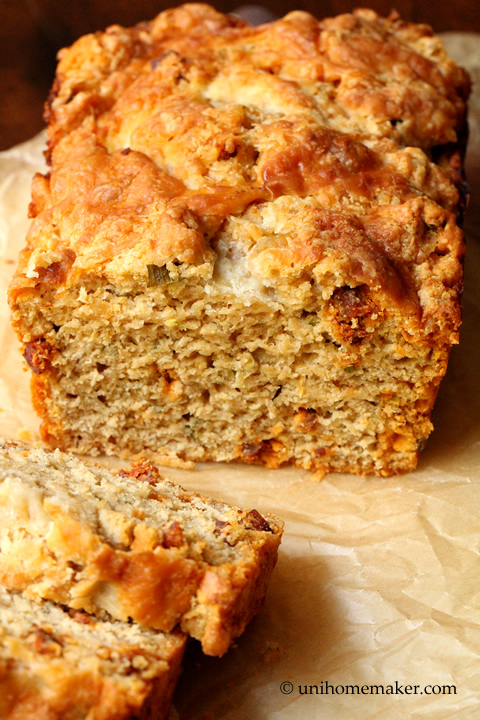 Had to promise to prepare this chorizo bread next week when his friends are coming over! I’d just started to reach a lull in my braedmaking, figuring out which one to do next and it looks like I’ve found it. This looks absolutely amazing…the ultimate lad-loaf! 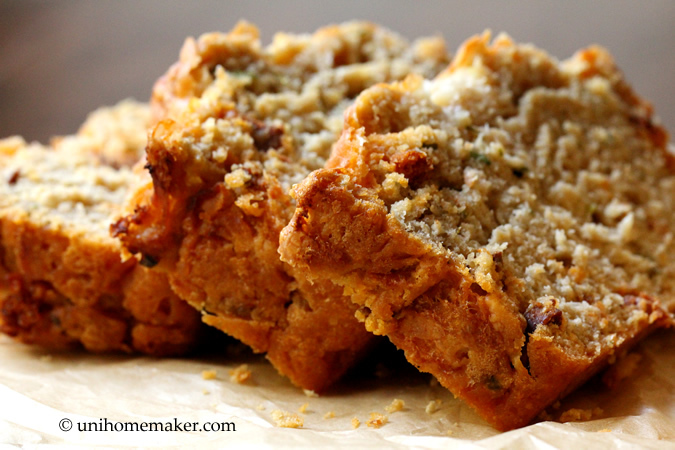 I’m with EW…i love dense bread with crispy top. This looks awesome!!! Anne – just checking in on you and hoping all is well! I’m hoping you’re simply taking a little break from blogging. Miss your posts and gorgeous food! Hope you are well! 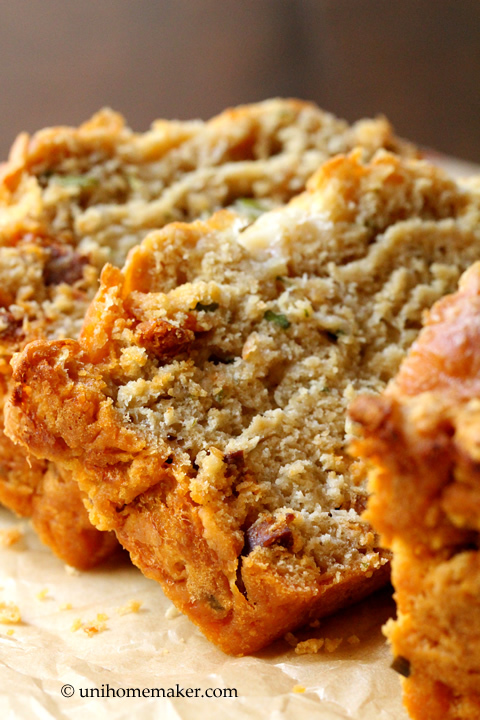 This is one hearty, gorgeous bread, Anne! I would love to try it! Hey Anne! Just ensuring that you’re okay and just taking a well deserved break :). Been a while since I’ve seen you update! It looks and sounds wonderful! My husband would really love this. i love chorizo and think this bread would be out of this world! This looks scrumptios! We usually make a simple beer bread and have not tried the combo of Chorizo and Manchego in it yet. That bread looks so beautiful. It would be real easy for me to eat that whole thing with white butter. Sounds great, Anne! Looks like we both took an extended break.. I hope you’re doing well! Damn belicious and pluffy beer beread!!! OMG.. this looks so freakin’ good. I’ve never ever baked with beer in my bread, but now I want to. Bookmarking this. Great idea to bring to a holiday party, everyone brings sweet stuff. Hi Anne It has been a long time. I do not why but I was not able to receive your updates in the reader. Your recipes are always interesting and delicious. Thanks for sharing. This is the one! Your recipes have never failed me.